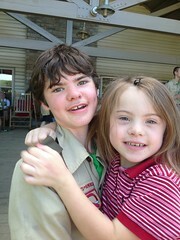 Last night was my eldest son’s last night as a Cub Scout. 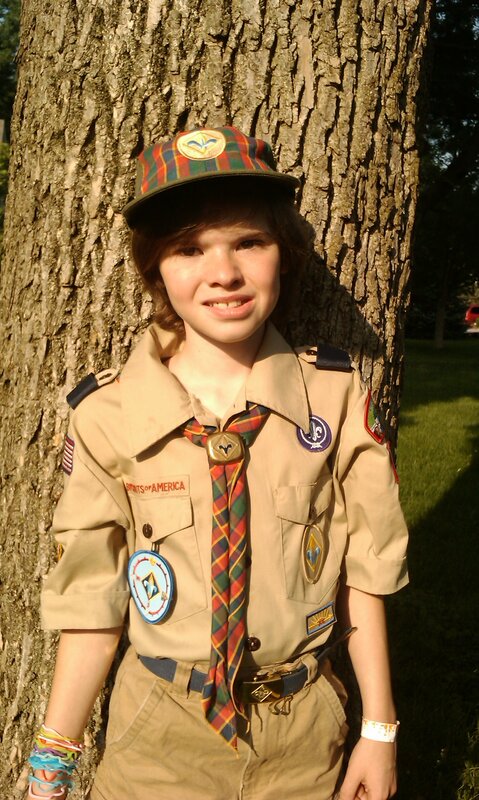 He and the rest of his Webelos den crossed over into Boy Scouts. This is a pic I took of him before heading to the meeting. I can’t believe that in one short week he will be finishing his elementary school career and getting ready for middle school in the fall. 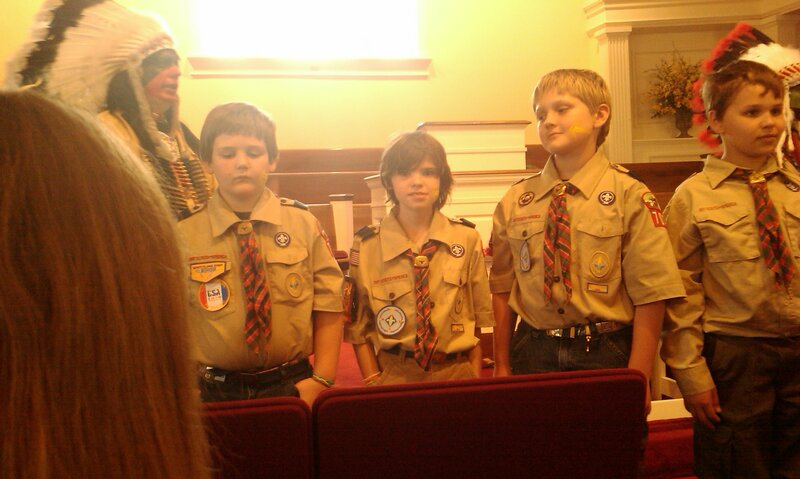 Here are a couple extra pics from the ceremony. 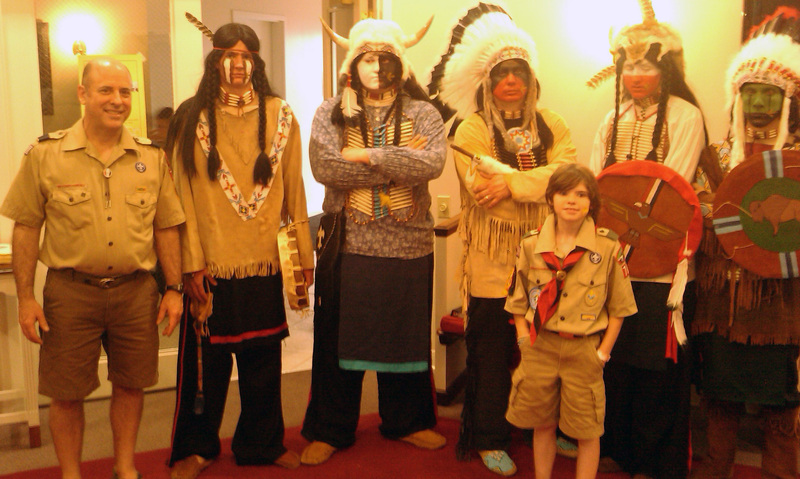 Dad, Joe, and the "Indians"